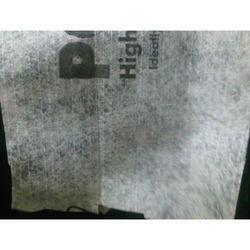 Our range of products include polyester non woven cloth and geotextile membranes. We are a certified and trusted organization that is engaged in manufacturing, importing, distributing, trading and supplying high quality Polyester Non Woven Cloth. Used in high-speed bitumen lines, these are widely demanded by various industries and sectors. In addition to this, our offered products are properly packed using quality material to assure safety during transit. Leveraging on our vast infrastructure, we are capable of manufacturing, importing, distributing, trading and supplying a comprehensive collection of Geotextile Membranes. Precisely designed, these membranes are made using quality material at our vendors’ end. Also, we provide these membranes in different weights and sizes at most competitive prices.